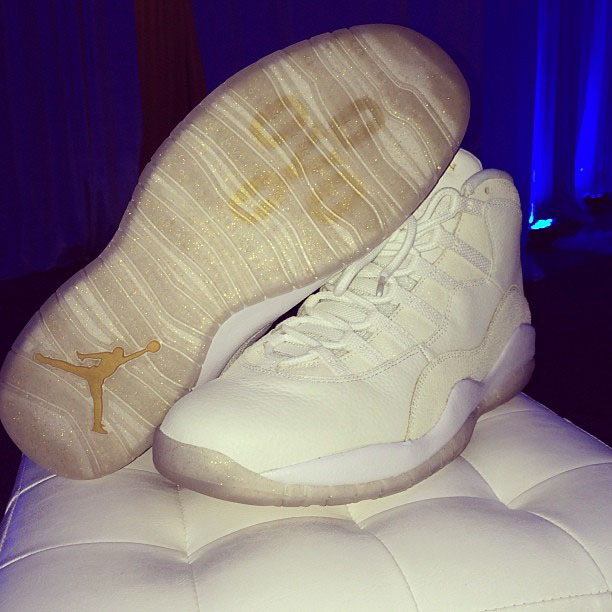 Usher isn't the only musician getting his hands on exclusive Air Jordans these days. Just moments ago, Drake shared these photos of what he's calling the October's Very Own (OVO) Air Jordan 10 Stingray Sample Pack. The pack consists of both black and white-based styles bearing the exotic skin. 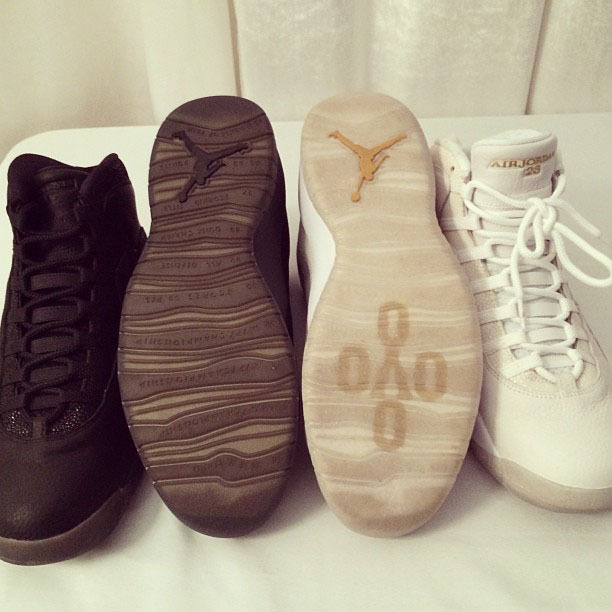 Translucent outsoles finish off each style, the white pair with visible 'OVO' markings on the underside. It's very unlikely that we'll see these release, but check out the photos below and let us know if you'd like to see a drop.